Mar. 19, 2018—Representatives from the Manhattan Institute and the Partnership for Responsible Growth will join two Vanderbilt University professors for a conversation about carbon tax proposals at VLS March 21. Mar. 16, 2018—Members of Vanderbilt’s Legal Aid Society volunteer at free medical clinic run by Vanderbilt Medical School students to identify needs for legal services and refer patients to legal aid resources. Mar. 15, 2018—Reder and Clark will be honored at Vanderbilt’s annual Founders Circle Dinner April 13. Mar. 15, 2018—Giancarlo's talk will address ongoing efforts to reform over-the-counter derivatives marks in the aftermath of the 2008 financial crisis. Mar. 9, 2018—The noon panel discussion features Blake Hudson of Houston Law, Michael Butler of the Tennessee Wildlife Foundation, Bob Martineau of the Tennessee Department of Environment and Conservation, and Greer Tidwell od Bridgestone Americas. Mar. 9, 2018—Dolbow was honored for her Note, “A Distinction without a Difference: Convergence in Claims Construction Standards,” published in the 2017 Vanderbilt Law Review. Mar. 8, 2018—Walz, who retired at the end of February, spent 42 years in government service, and had served as his office's senior litigation counsel since 1999. Mar. 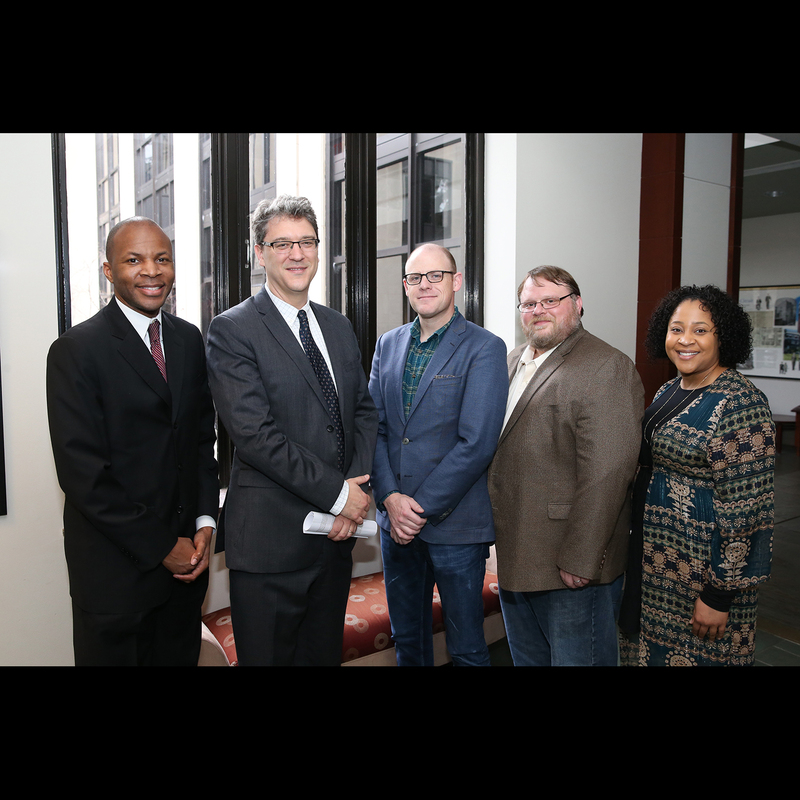 7, 2018—Thomas Castelli of the ACLU of Tennessee, immigration lawyer Andrew Free ’09 and election law expert Junaid Odubeko ’04 discuss how lawyers can respond to legal emergencies. Feb. 28, 2018—Columnist Kelly Twigger also interviews Professor Larry Bridgesmith about the Summit on Law and Innovation scheduled at VLS April 30. Emily Grand ’19 and Claudia Stantzyk-Guzek ’19 win 2018 Bass Berry & Sims Moot Court Competition. Feb. 14, 2018—Finalists were Josh Landis ’19, who was named Best Oralist, and Claire Fox ’19. Lauren Stern ’19 and Sarah Grimsdale ’19 honored for Best Brief. Jan. 25, 2018—The team’s start-up, Leaf Global Fintech, was selected as a finalist in the Payment and FinTech category of the SXSW Accelerator Pitch Event, at which teams compete for funding. Jan. 23, 2018—Sitaraman joins 17 colleagues from across Vanderbilt in two-year program for highly accomplished, recently tenured faculty members. 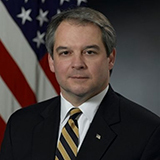 Jan. 12, 2018—McHenry's appointment was announced by Attorney General Jeff Sessions. He has served as acting director of the office since May 30. Jan. 11, 2018—Ney currently serves as chief deputy attorney general in the Tennessee Attorney General's Office. Jan. 10, 2018—Judge Parker was confirmed by a unanimous Senate vote. He has a reputation "as one of Memphis' finest attorneys," said Tennessee Sen. Lamar Alexander. Jan. 10, 2018—Most members of state licensing boards are also professionals regulated by the boards, raising consumer concerns. Jan. 4, 2018—Williams, who is a professor of law and Vanderbilt's athletics director, was honored by Nashville's African American newspaper for making "Vanderbilt athethletics a national model." Dec. 6, 2017—Sundby's $50,000 NIJ Graduate Research Fellowship in Science, Technology, Engineering and Mathematics will support his research project, "The Neuroscience of Evidentiary Rules: The Case of the Present Sense Impression." Dec. 5, 2017—In Beyond Politics: The Private Governance Response to Climate Change, the authors make the case for how the private sector can play an important role in reducing carbon emissions. Nov. 29, 2017—Stack is an expert in administrative law and separation of powers whose scholarship focuses on what the rule of law requires for administrative government. Nov. 29, 2017—Gervais recently began a two-year term as president of the International Association for the Advancement of Teaching and Research in Intellectual Property. Nov. 28, 2017—Robinson is a member of a team that also includes Kayla Armgardt MBA'18, Tori Samples MBA'18 and Adam Cohen (MS, mechanical engineering). Twelve teams entered the VU competition. Nov. 27, 2017—Hersch is a labor economist whose research has focused on why women in the same jobs are paid less than men. Nov. 20, 2017—Ali is an international counsel at Bass Berry Sims in Nashville.